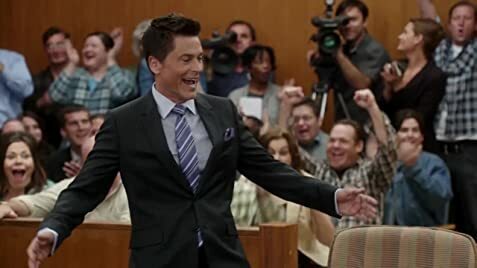 Television lawyer Dean Sanderson moves back to his small home town after a stint in Hollywood, thinking that his time on TV qualifies him to run his family's law firm. Dean is excited to spend a real Thanksgiving celebration with the family, but his meddling uncovers a major, surprising family secret. 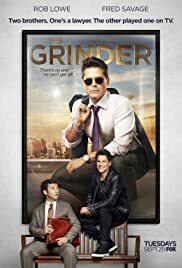 How many episodes of The Grinder have you seen? Stewart Sanderson: Dean, can I just talk to you for a quick sec? Dean Sanderson: No, we don't have time for quick secs. There seems to be a trend at the moment for comedy shows (particularly those from out cousins across the pond) to show situations that are painfully embarrassing for the protagonist, and then dragging those moments out far too long to remain interesting or even amusing - they're just painful and sad. This show is different. Sure, there're similar moments, but they remain funny by not being overly laboured and they're mixed in with other types of humour - I have a smile on my face throughout, and genuinely laugh out loud frequently - that's not typical for me; I'm really enjoying this show. The basic premise is, of course, utterly ridiculous, and is both ridiculed and legitimised by other characters in the show. It's predictable, but in the most delightful way, doesn't demand too much of the viewer, but still doesn't come across as dumb, or that it expects the viewer lacks the intelligence for more sophisticated humour. 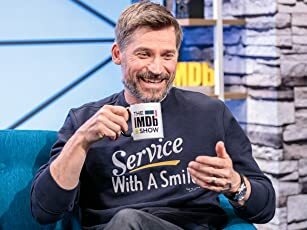 It just works, and after watching an episode I feel entertained, happier, more upbeat; it does everything a comedy show should, and I can't wait for the show's return in the new year.